Molly is another of my loveable "Purrmaids." She comes to the lake at night on a full moon to work her magic! 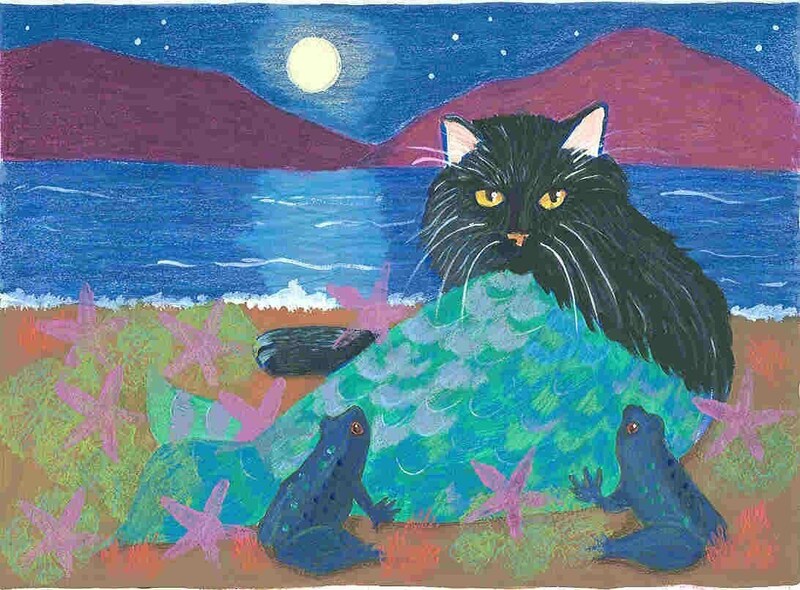 The name of the painting is "Molly and The Night Toads." Each notecard measures 4x5 and comes in a protective cello sleeve with a white envelope.